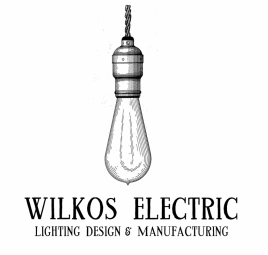 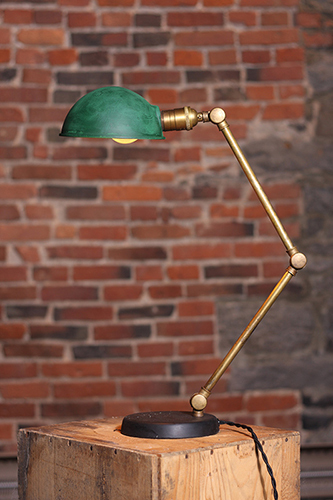 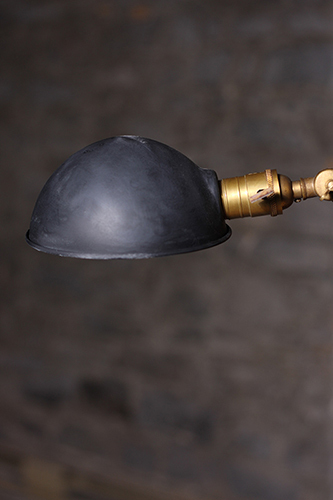 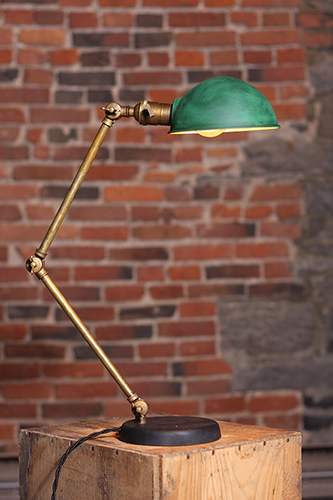 The Oldman desk lamp is inspired from the 1900s. 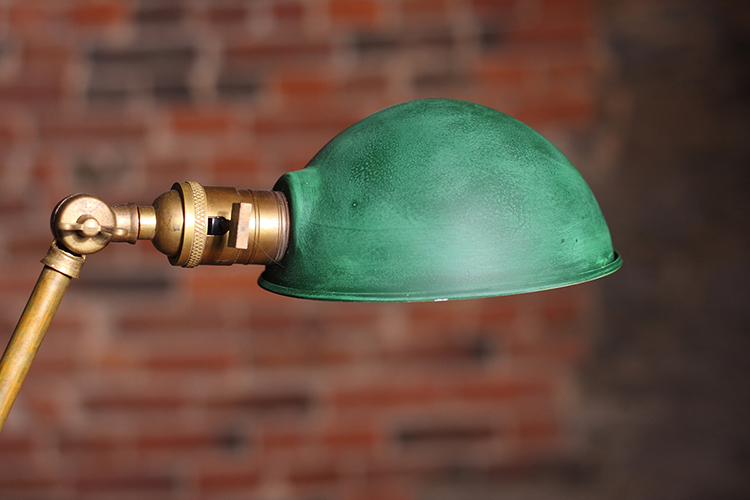 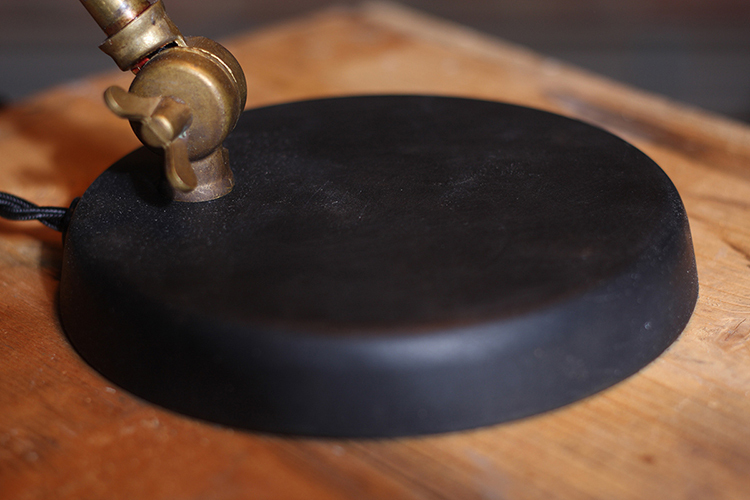 It's hand made in Canada from new parts, to which artisans painstakingly add patina to all the parts, including the painted shades, to give a authentic vintage industrial feel. 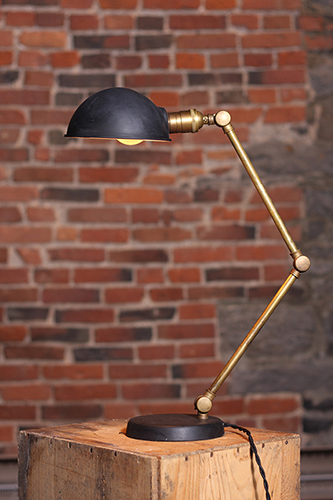 The lamp has 3 brass swivels to adjust angle and height.